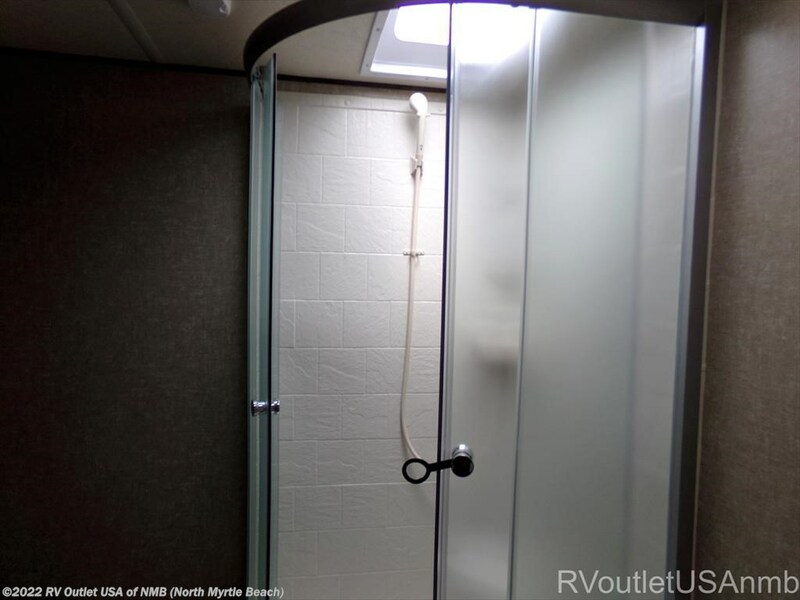 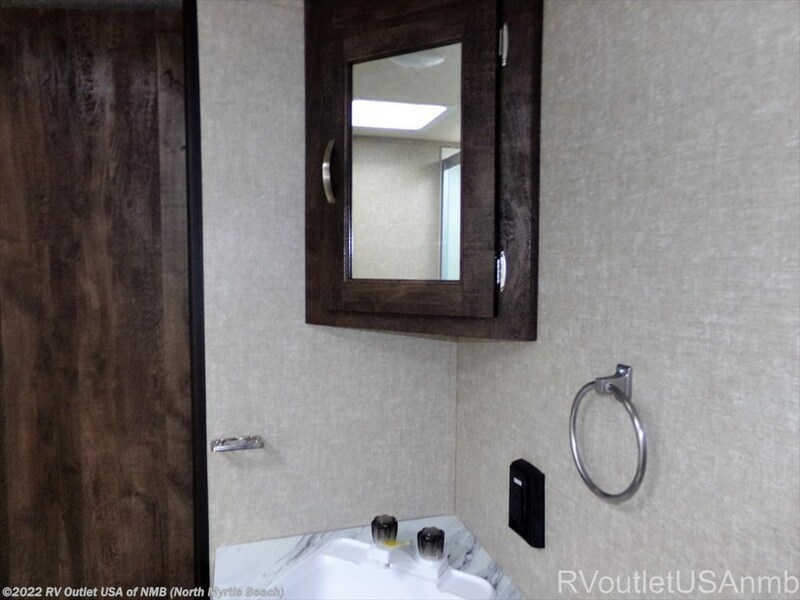 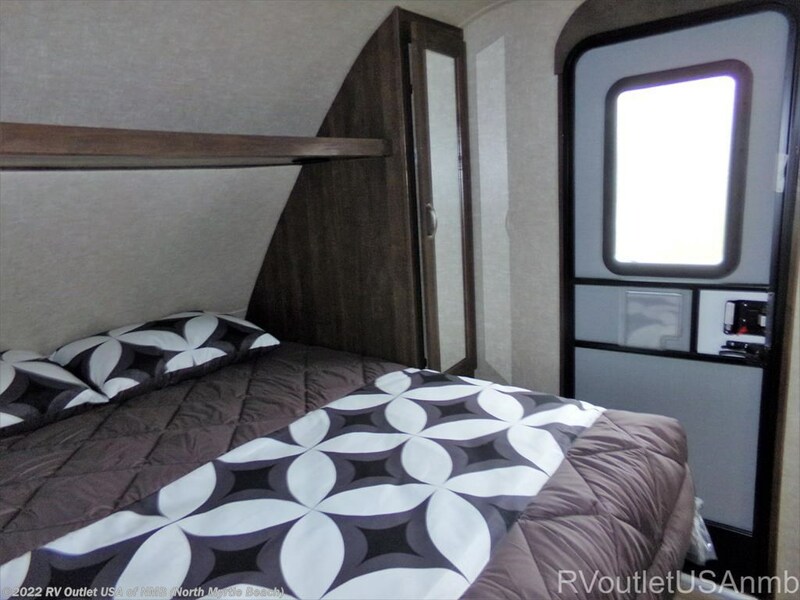 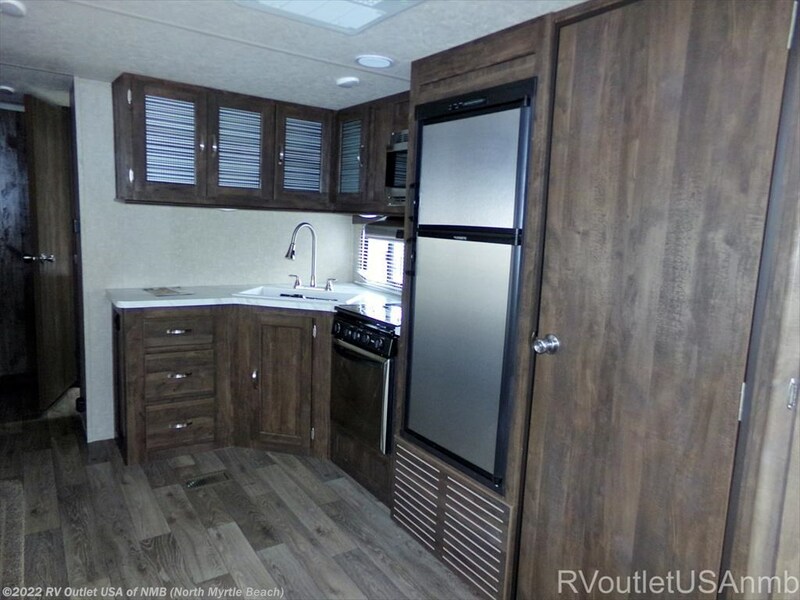 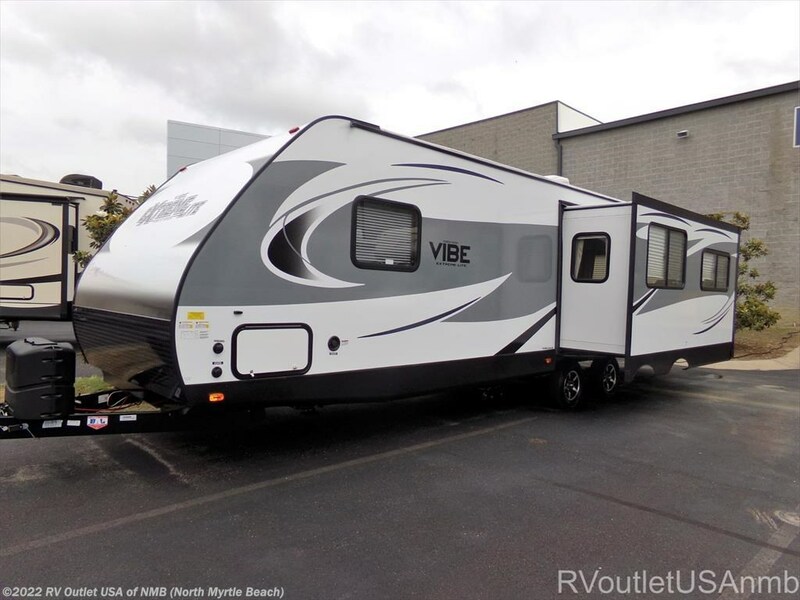 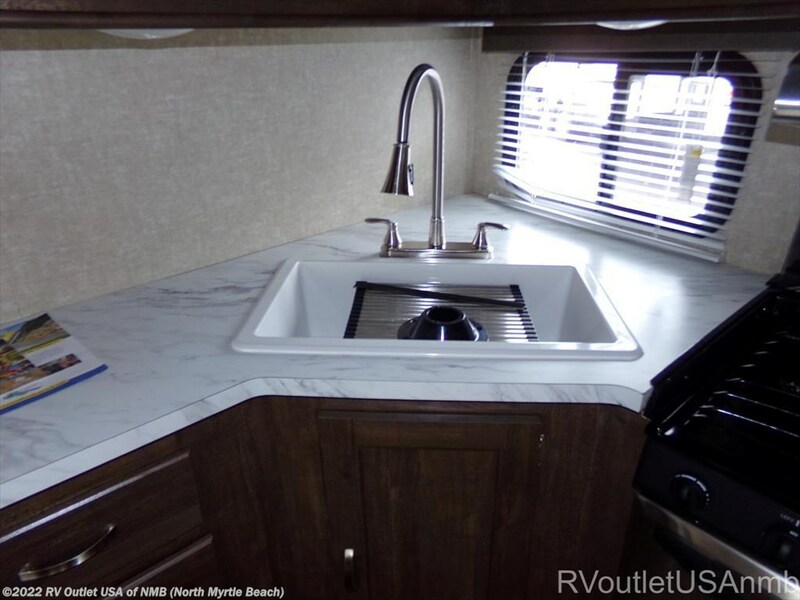 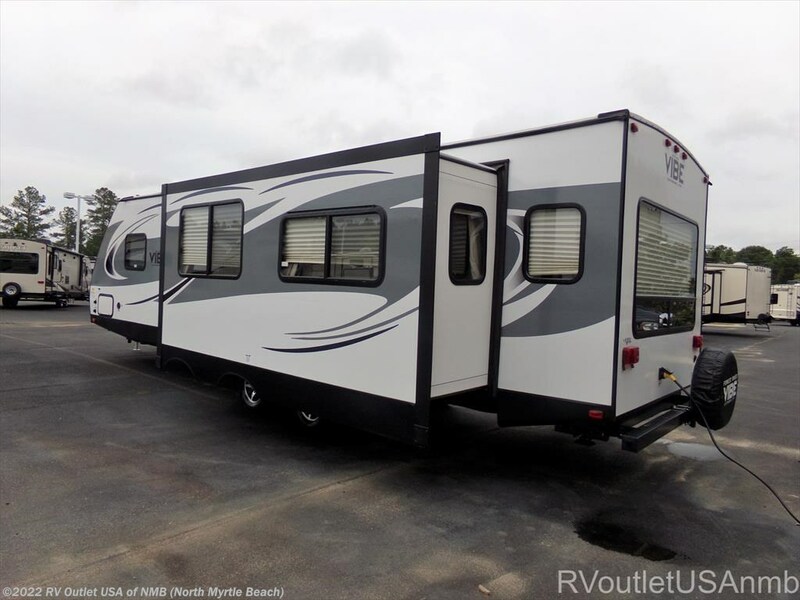 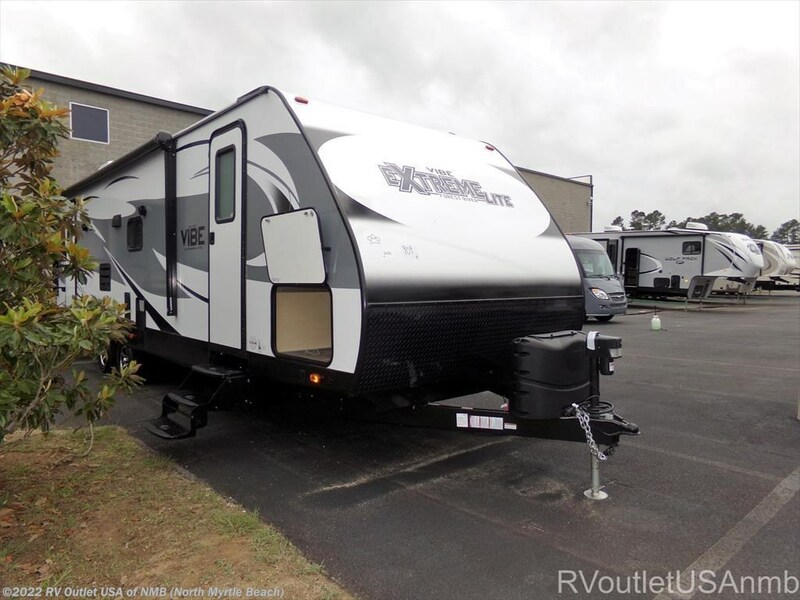 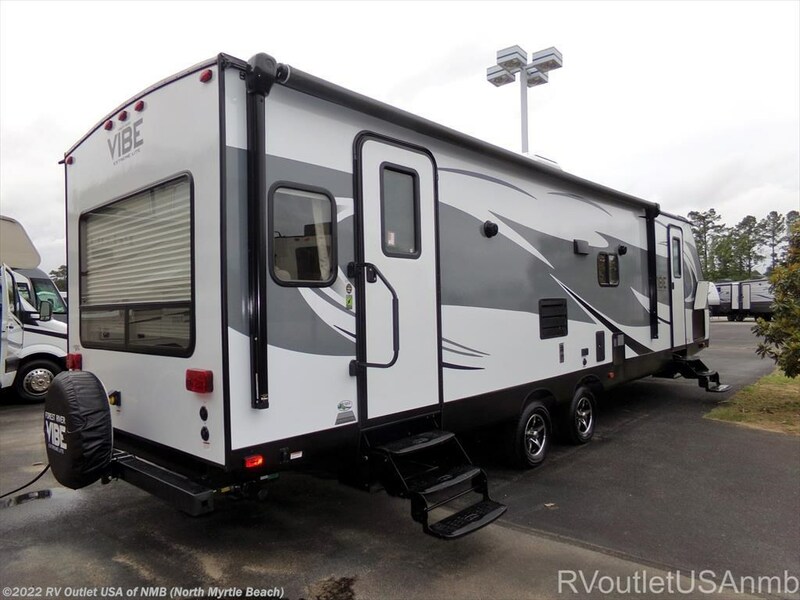 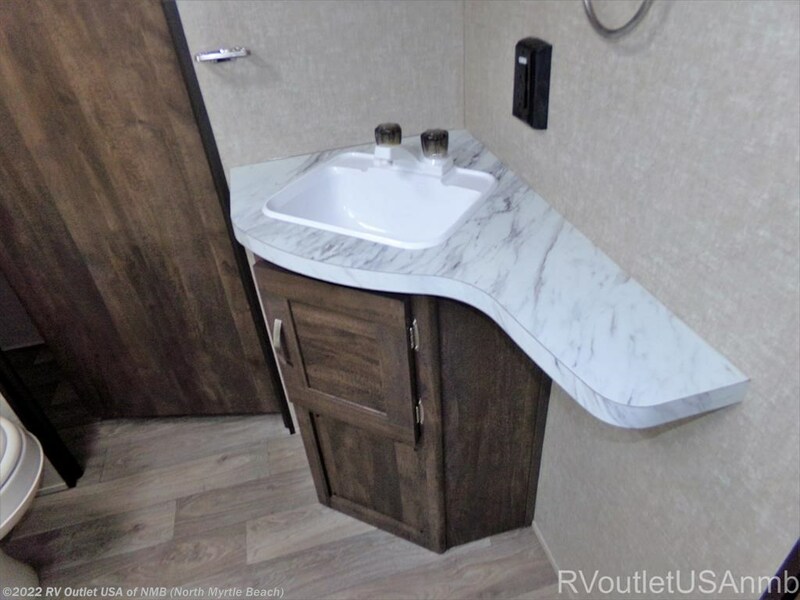 What a beautiful 2018 Forest River Vibe 277RLS travel trailer. 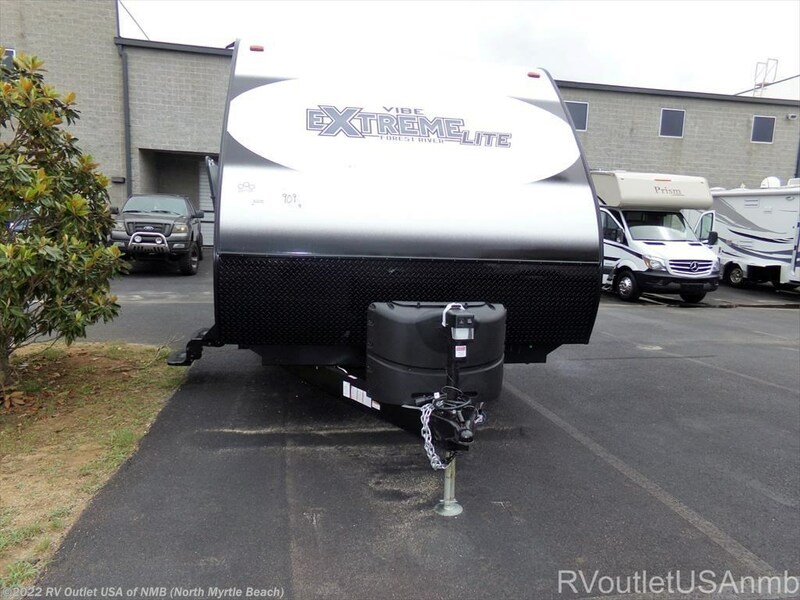 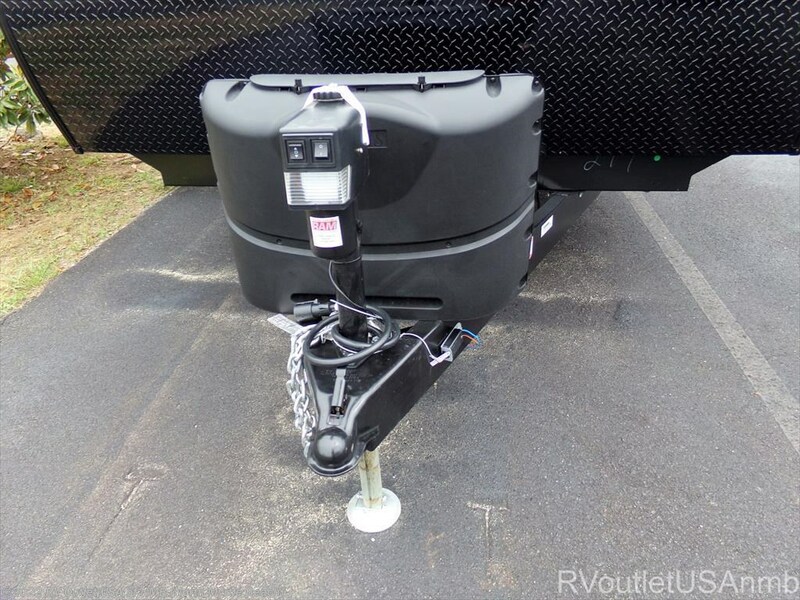 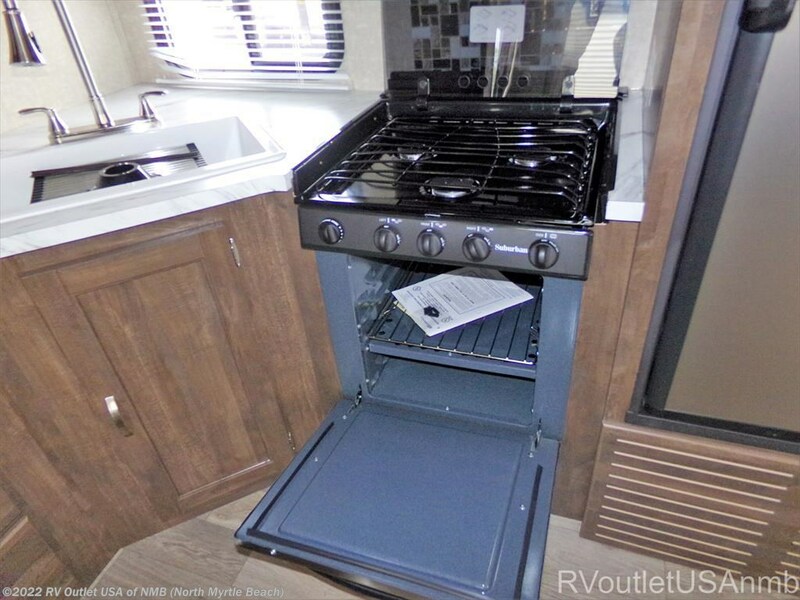 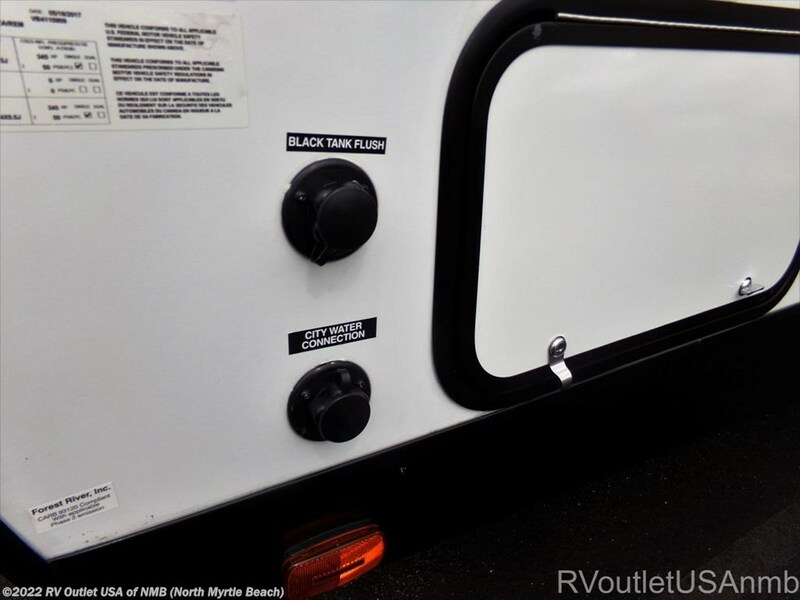 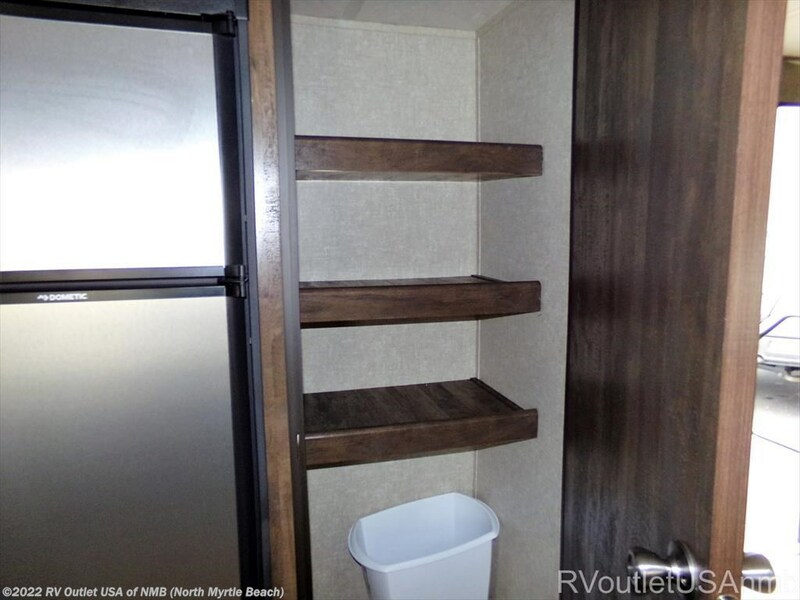 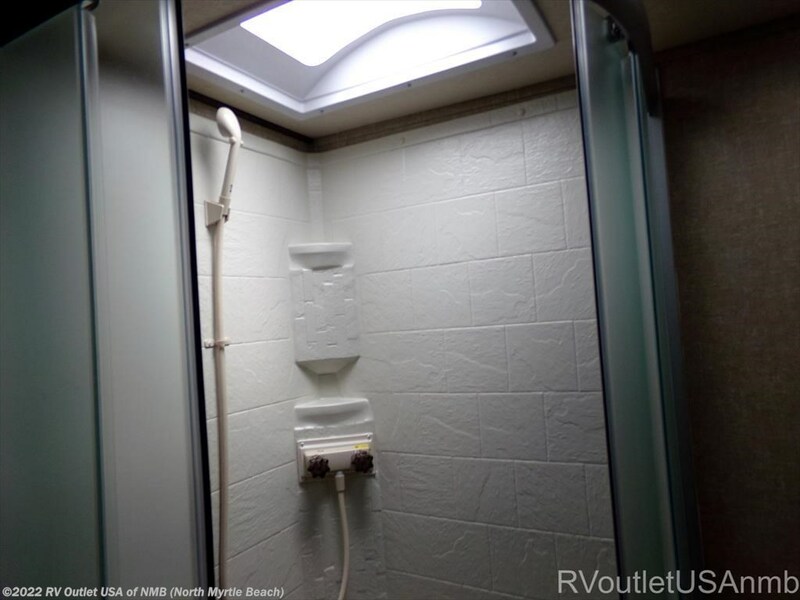 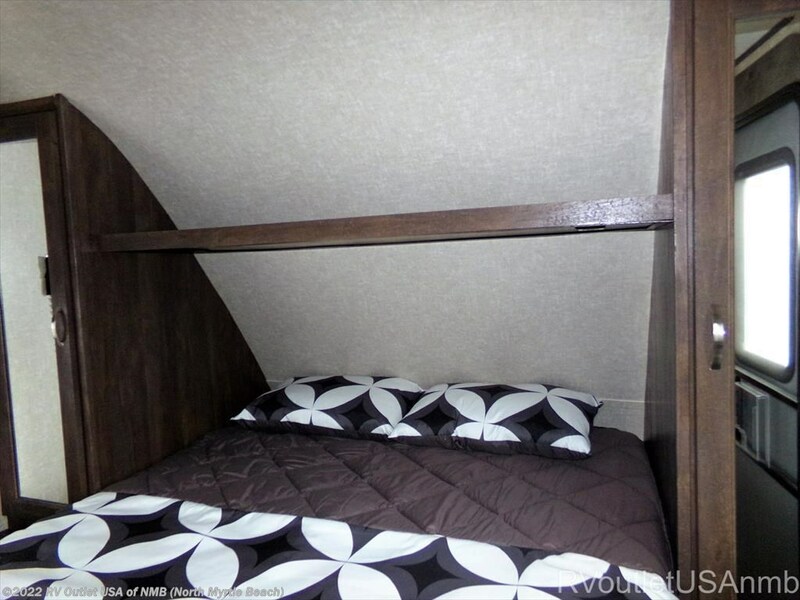 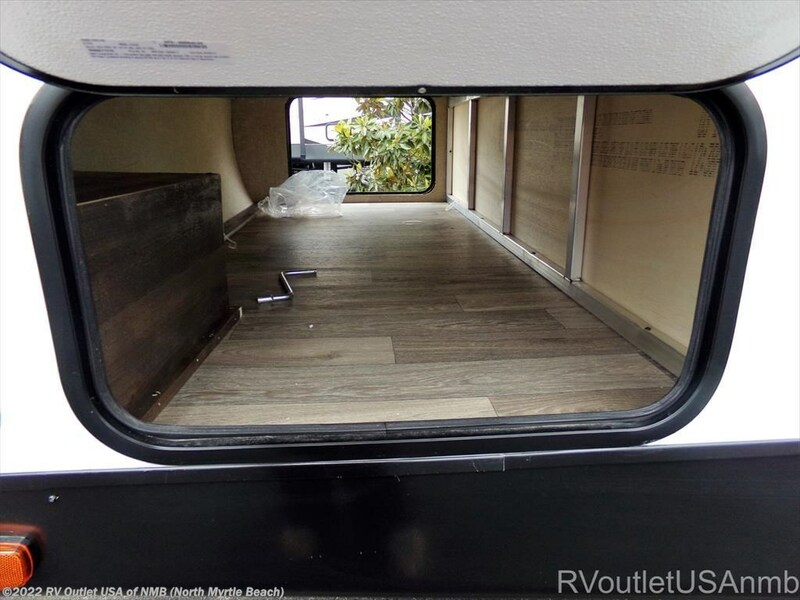 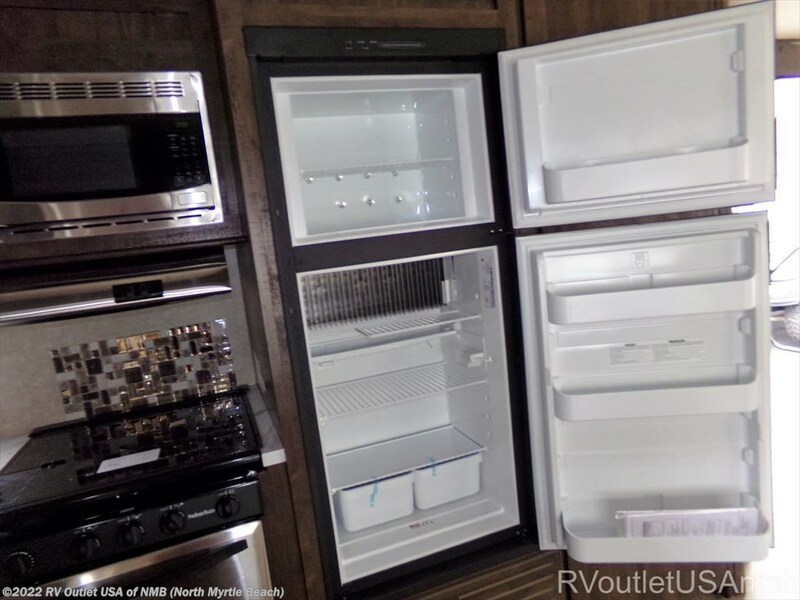 This RV is loaded with features and weighs 7615 lbs. 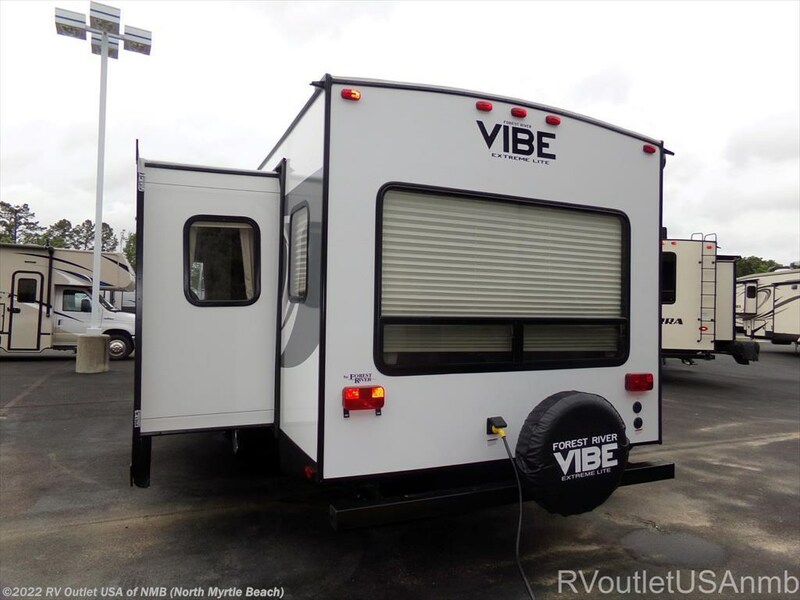 The beautiful exterior has Tri-tone gel coat fiberglass, door, aluminum wheels, spare tire, electric awning, exterior shower, colored LED awning lights, power stabilizer jacks, black tank flush, solar power prep and the list goes on. 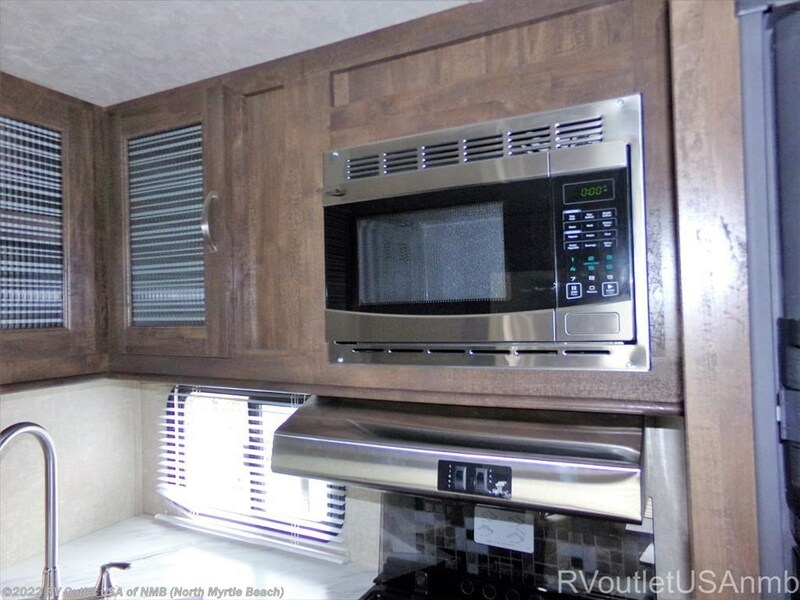 The marble interior offers the warmth of home and features a door side fully equipped with a refrigerator, 3 burner recessed stove top oven with cover, range hood with fan and light, a dual sink with faucet, plenty of cabinet and counter space for cooking any meal. 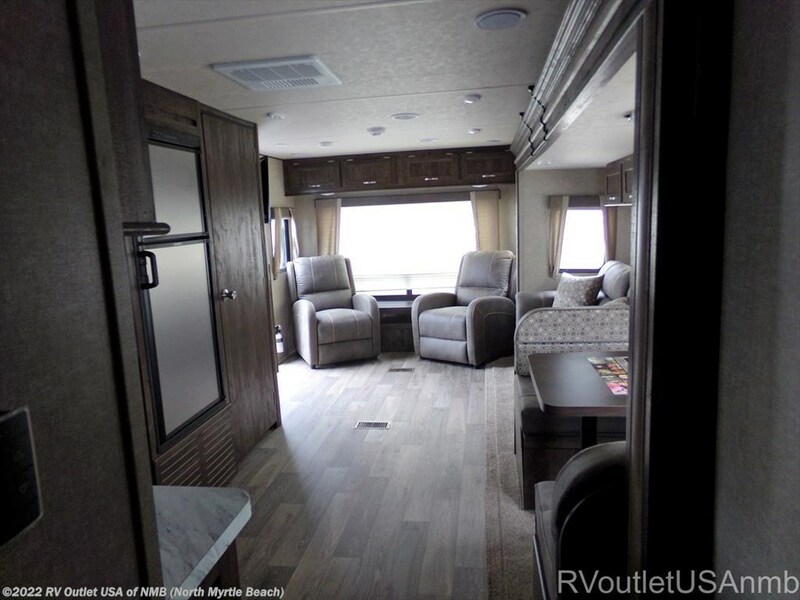 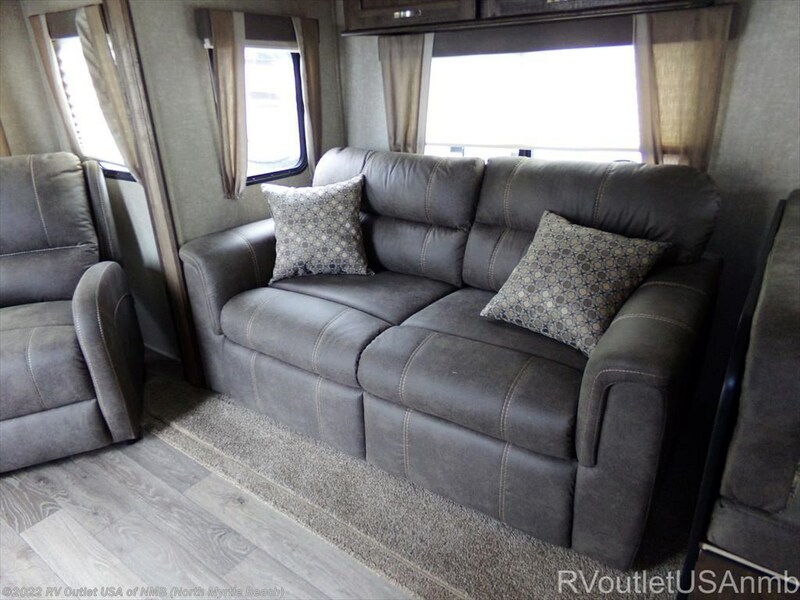 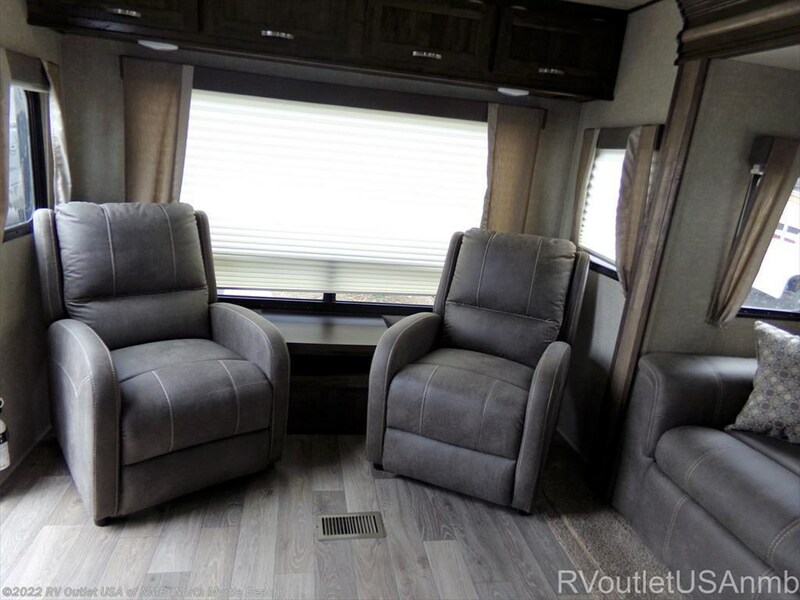 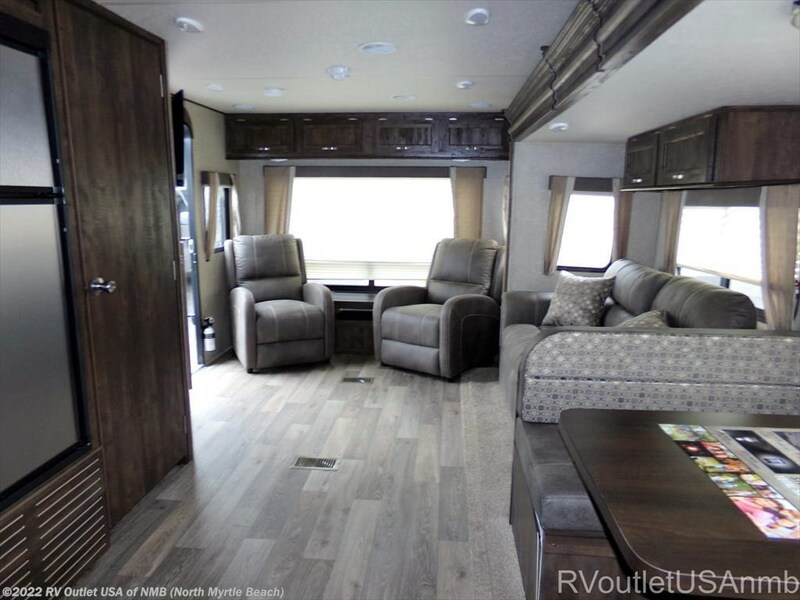 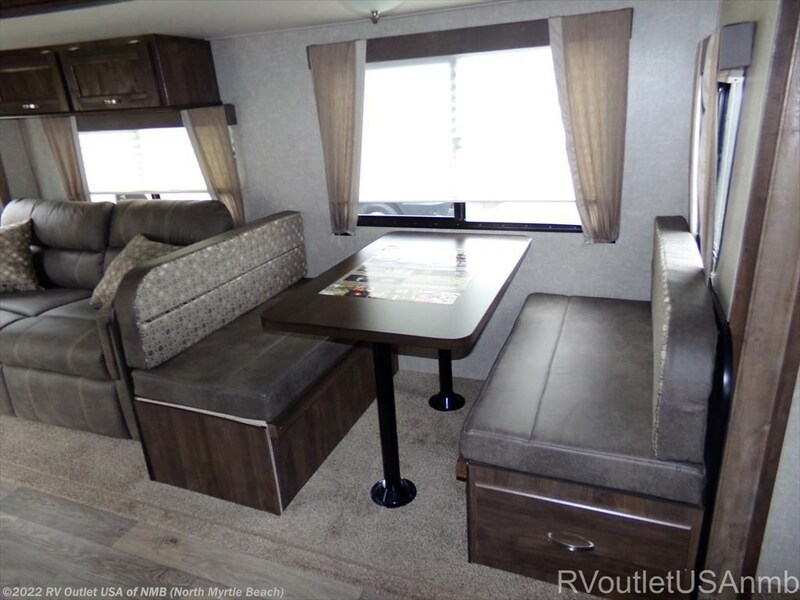 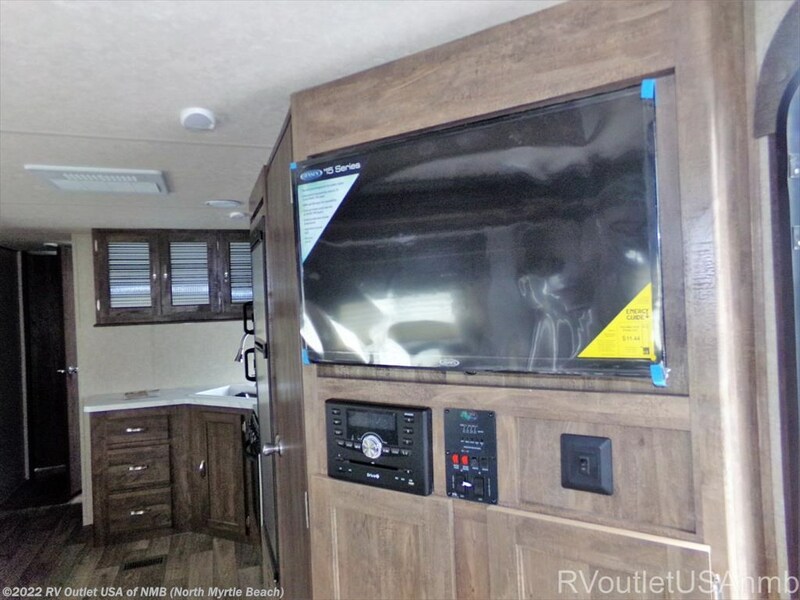 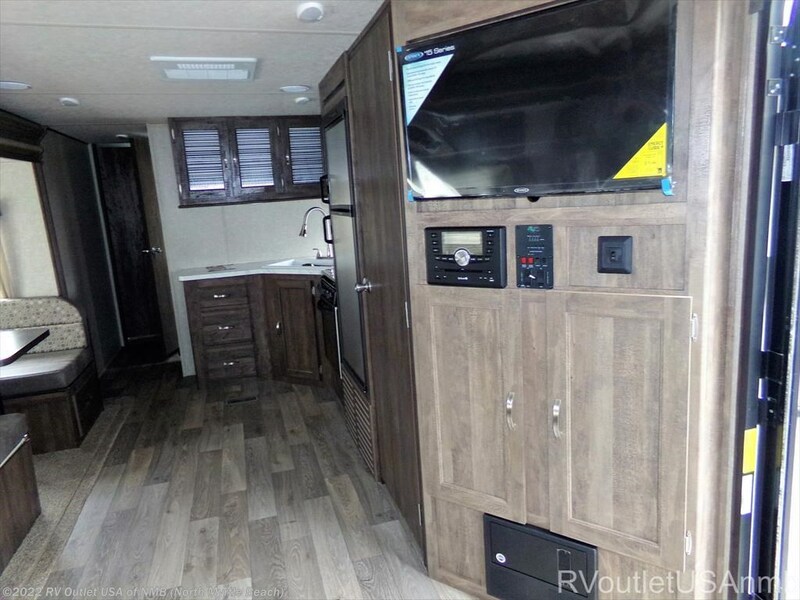 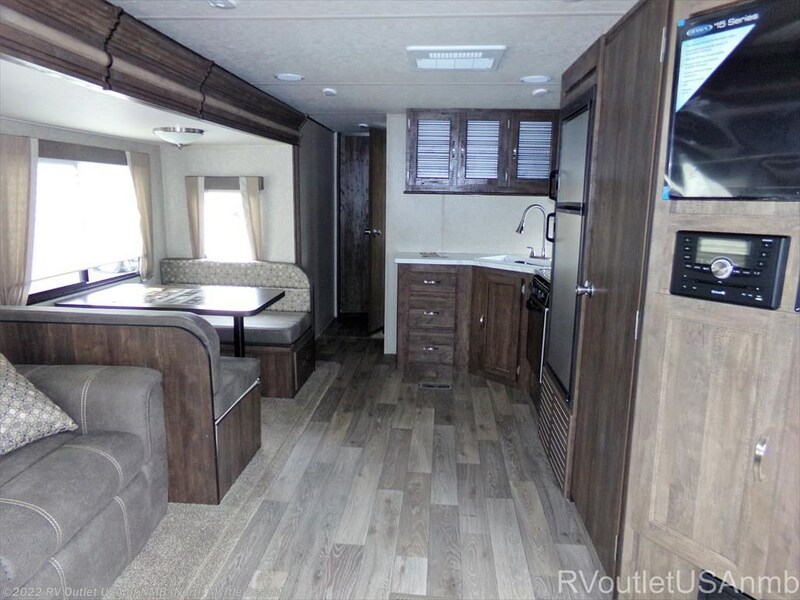 The rear living area offers a tri-fold sleeper sofa, 2 end tables, an entertainment center that comes ready for your enjoyment with a 32 inch flat screen TV, stereo, sound system, overhead storage compartments and a dinette on the slide.